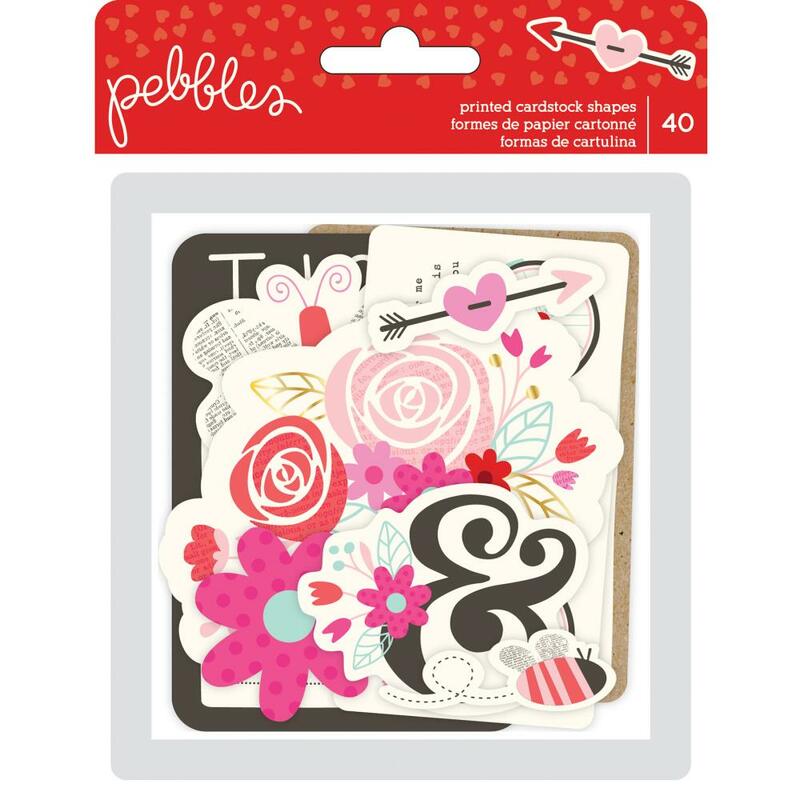 This package contains an assortment of Cardstock Shapes / Ephemera & Journaling Spots. Look for coordinating Designer Papers, 3D Dimensional Stickers, Element Stickers. Part of the Forever My Always Collection by Pebbles.